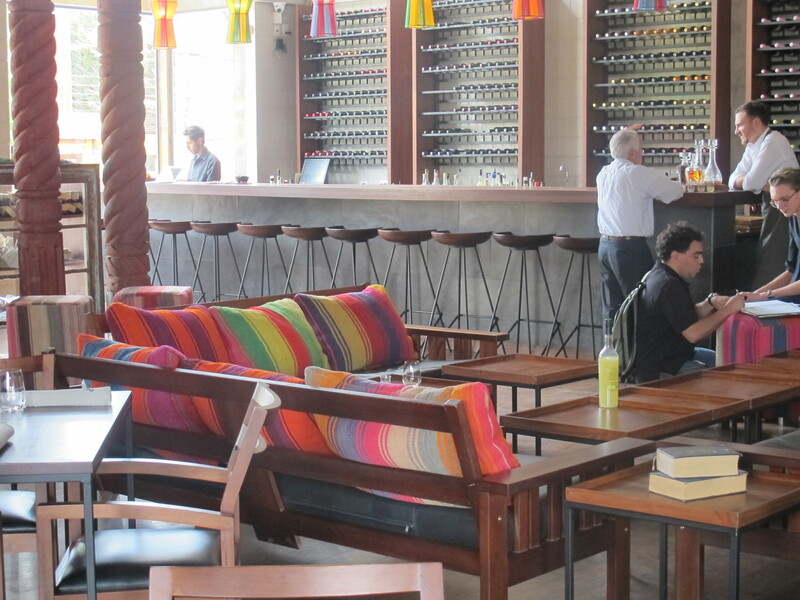 Claus Meyer has a restaurant in La Paz? Claus Meyer, the chef and co-founder of noma, the Copenhagen restaurant that took top place on the World’s 50 Best Restaurants list three years in a row and the co-founder of the New Nordic Cuisine Movement? The same Claus Meyer who gave one of the best TED Talks I have ever seen? Wow, what do I do? Just send him an email? And, so I did. Well, sort of. I actually, messaged him on Facebook, which, I know, sounds quite ridiculous, but he is one of my “friends” ever since I watched his Ted Talk and signed on to his Facebook page. I received an immediate response from “Josefine Carstad on behalf of Claus Meyer,” thanking me for my enquiry and asking me to contact Kamilla Seidler, Head Chef at Gustu. 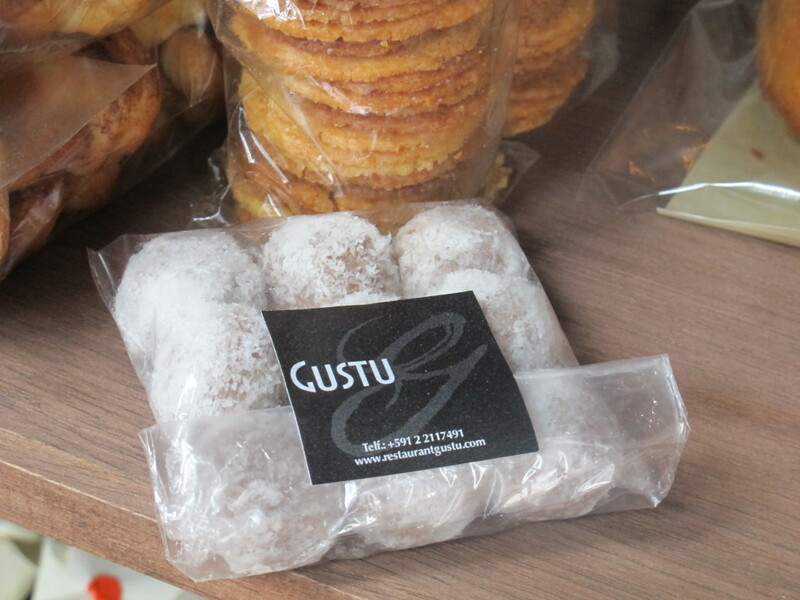 But, before I go any further, I should tell you little about Gustu and how it got its start. In partnership with the Danish NGO, Ibis, Meyer spent two years searching for a country that had, among other things, struggles with poverty, low crime, a richness of biodiversity, an untapped gold-mine of indigenous ingredients and an under-developed gastronomic culture. 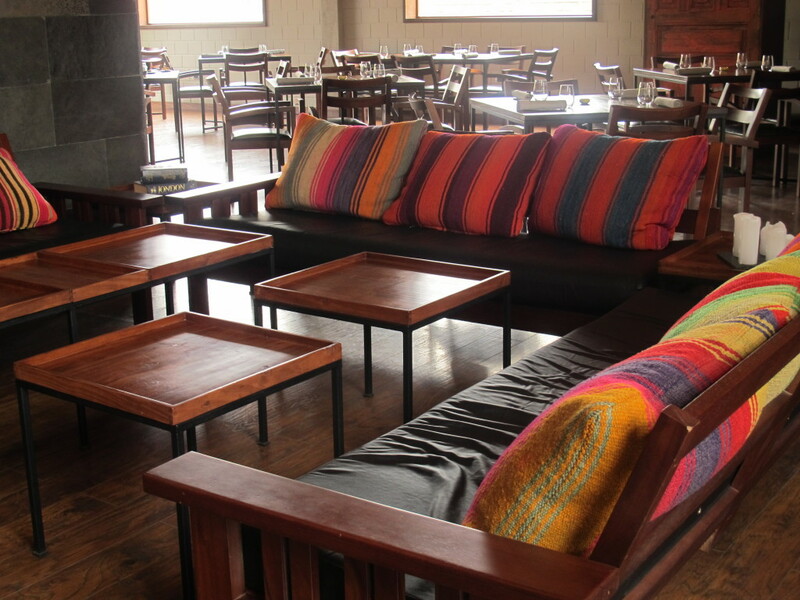 Once Bolivia was identified and La Paz was chosen as the ideal location, preparations began for the establishment of a restaurant and a culinary training facility. 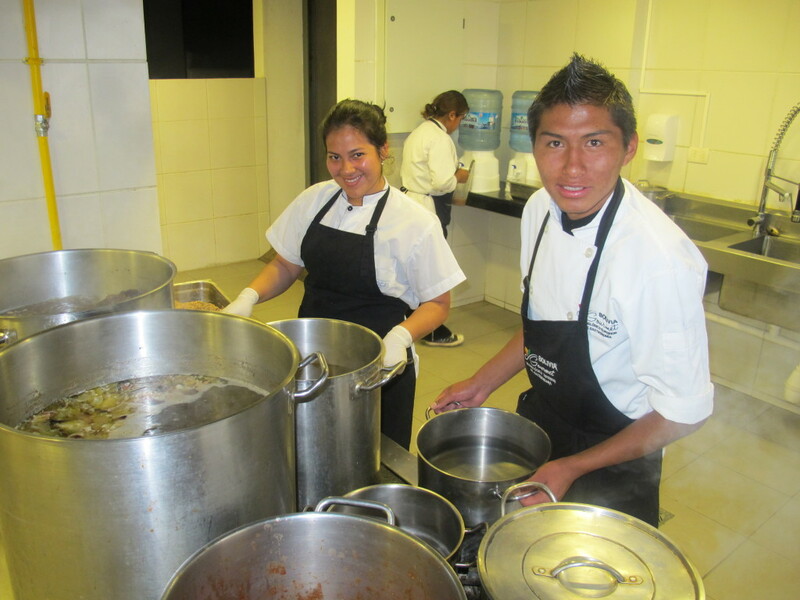 A new generation of young cooks who were gleaned from the poorest neighbourhoods in La Paz will one day, it is hoped, shape the future of food in Bolivia. With all the pieces put in place, Gustu opened its doors in April 2013 with 25 eager young cooks embarking on a training program most cooks could only dream of. Lucky for them, lucky for Bolivia- lucky for me! 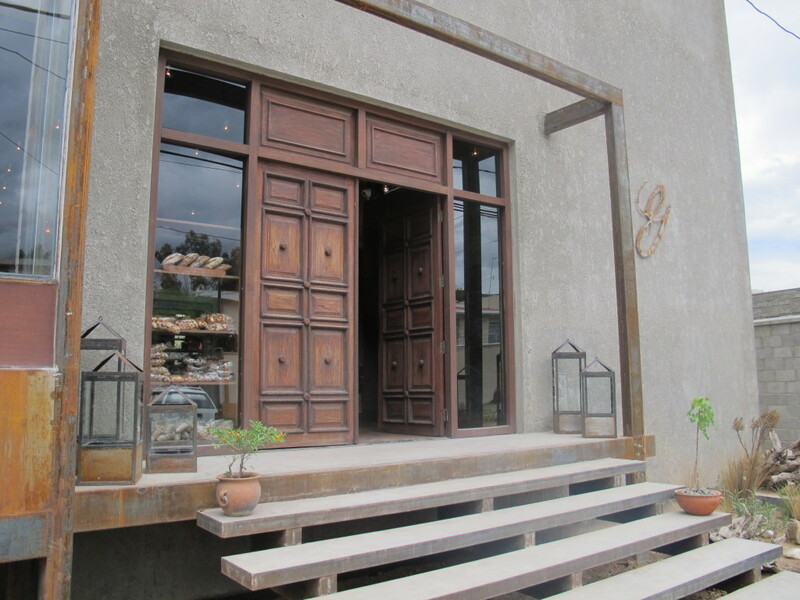 And so a few emails and a few weeks later, I arrived at 300 10th St. in Calacoto, a tony neighbourhood in southern La Paz, for my first meeting with Gustu’s Danish chef Kamilla Seidler. 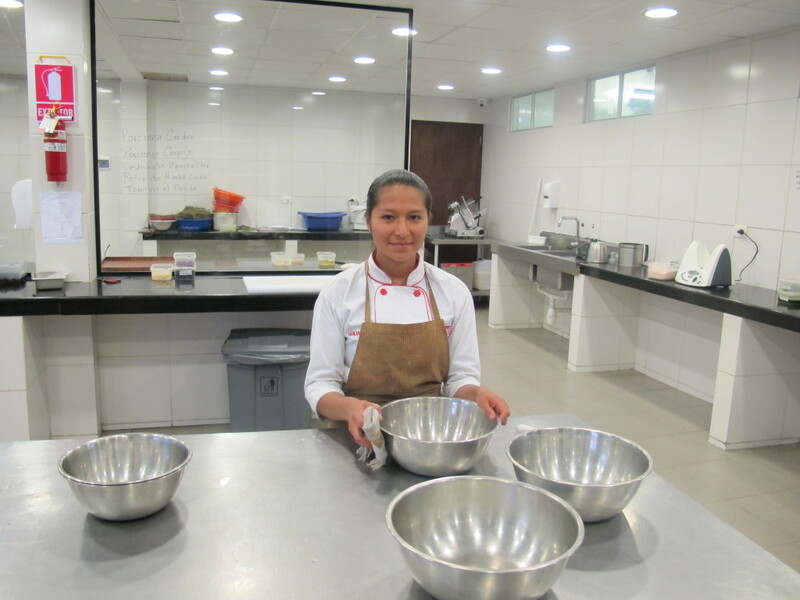 Kamilla, who is taking the South American cooking scene by storm and who was about to wow an audience of highly-esteemed chefs and food academics the following week at the Culinary Institute of America, welcomed us warmly. 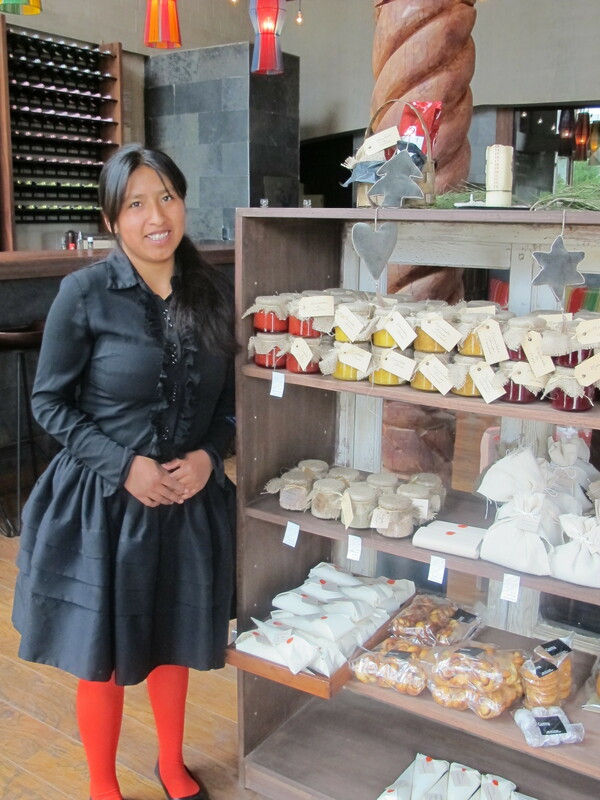 At Kamilla’s side was Bolivian-born chef and Gustu’s education coordinator, Coral Ayoroa, who is also making her mark in South America. What followed was a bilingual crash course in all things Gustu. Oh, and did I mention the rich coffee and sweet scones? How on earth do they get them so light and perfectly risen at this elevation? I make a mental note to ask for the recipe. Once it had been decided how best I could help out in the coming weeks by giving workshops on food safety and nutrition, we were taken on a tour of what might just be one of the coolest kitchens I have seen. Let me tell you, this definitely isn’t your typical restaurant kitchen that can be cramped, dark, dingy and, quite frankly, depressing. It was spacious, bright, absolutely spotless and outfitted with some very snazzy equipment. Side by side, each student was beaming with pride while busy dicing, whisking, sautéing, and packaging ingredients for sous-vide preparations. Out back, space is being made ready to house a small garden area for growing herbs and micro-greens. And, how many restaurants have a food research lab? 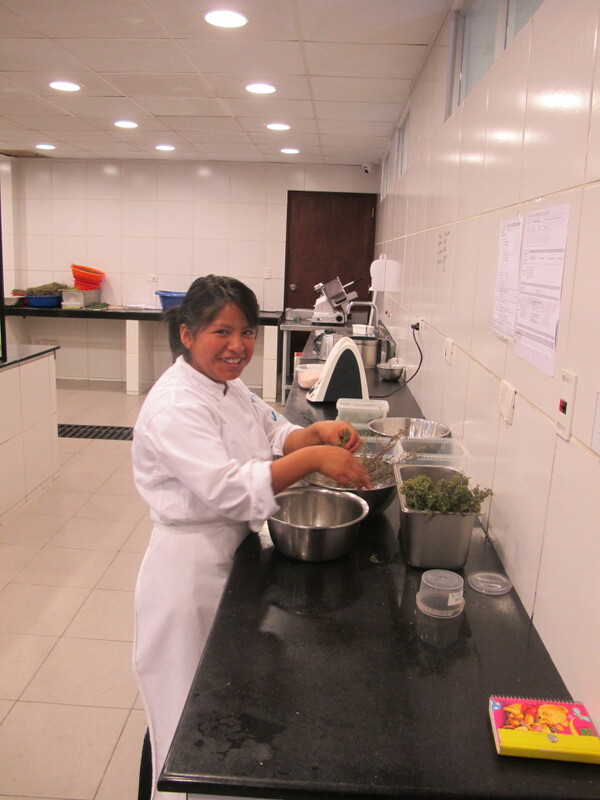 Next to the prep kitchen sits the Laboratorio de Alimentos Bolivianos, Gustu’s Bolivian food documentation and research facility. While we were there, the LAB was in the early stages of creating an infusion made with coffee husks and powdered orange peels. And then there’s the fair trade coffee project that’s in the works. Oh yes, and the bakery and artisan food shop! 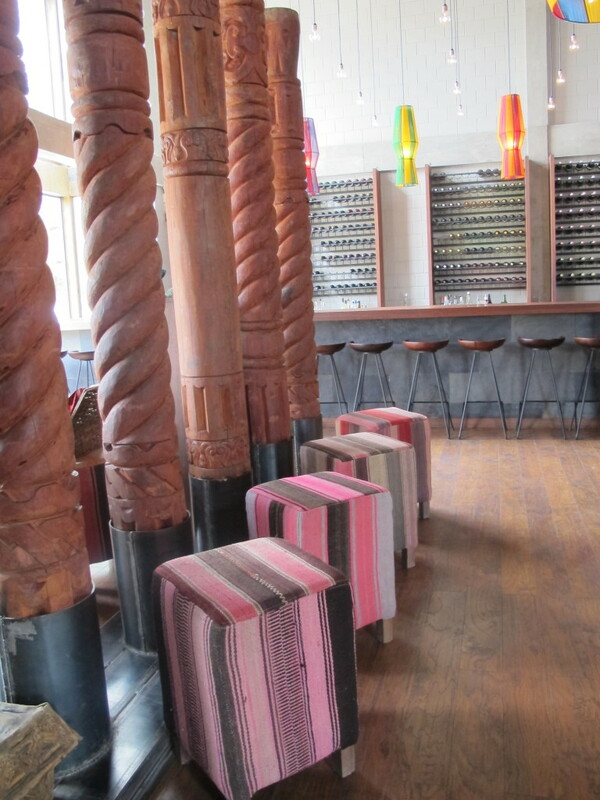 It seemed as if the possibilities for innovation in the place were unending. 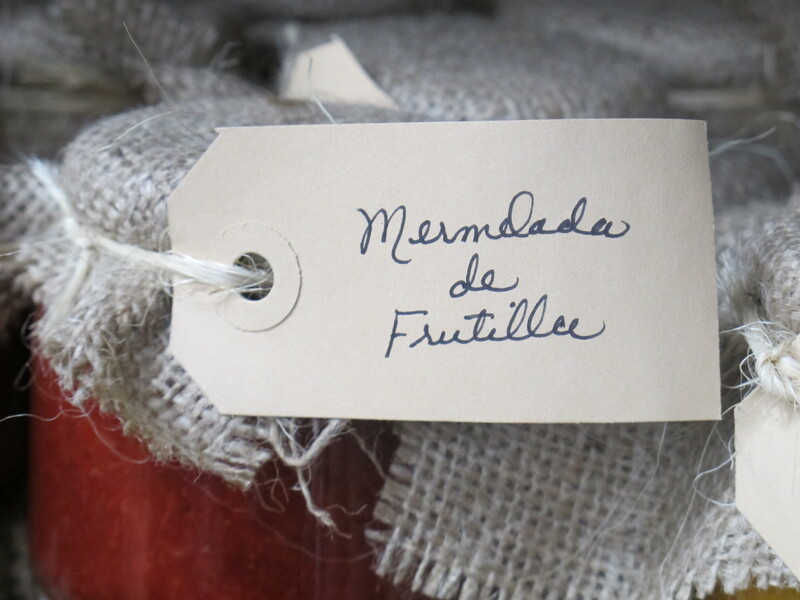 Artisanal foods and baked goods. As you can imagine, I could hardly contain myself at the thought of being even just a tiny part of this amazing project and so off I went into the Bolivian dusk, my head swimming with anticipation and Doug holding my arm to keep me from walking, completely obliviously, into the cars whizzing by. In the taxi back to Jupapina, our home about fifteen minutes south of La Paz, I suddenly had a stark realization. How on earth was I going to teach a workshop on food safety to a group of professional cooking students in SPANISH? Did I forget to tell them? Stay tuned for Gustu: Part Two! I red the article, it was very intersting, where can I find part II?? Thank you for your comment. I will be posting Gustu: Part 2 in the coming month.